THE word Christ or Kristos is a Greek word, introduced into our English language, but not translated into it. Its translation is, ANOINTED. Jesus was frequently called by this title instead of by his name; as English people oftenest speak of their sovereign as „the Queen,” instead of calling her by her name—Victoria. To be thus a part of „The Seed,” „The Christ,” we must see to it that we comply with the conditions, [suffer death with him if we would be found in him,] thus making our calling and election sure. We make sure of our being part of the elect company by obedience to the call: for, „They that are with him are called, and chosen, and faithful.”—Rev. 17:14. Being faithful to the call insures our position among the chosen. „They that follow the Lamb whithersoever he goeth,” in the future, are the same that bend every power and lay aside every weight to „walk in his footsteps” here. A beautiful illustration of our oneness with Jesus, as members of his body, is shown in the anointing of Aaron as high priest. All of the anointing oil [type of the Holy Spirit] was poured upon the head; the under priests stood by, their heads covered with bonnets, (Lev. 8:13,) indicating thereby that they were not the head. Aaron, who stood with uncovered head, was the head of their priesthood. They took part in the ceremony, and were anointed symbolically in him as members of his body, for the oil poured on the head ran down over the members of the body, as we read, (Ps. 133:2,) „It ran down the beard, even Aaron’s beard: that went down to the skirts of the garments.” So we, who claim not to be the head, but members in Christ’s body, receive full anointing by the same spirit. „For as the body is one, and hath many members, and all the members of that body, being many, are one body; so also is Christ, for by one spirit are we all baptized into one body.”—1 Cor. 12:12. „As many of us as were baptized into Jesus Christ were baptized into his death.”—Rom. 6:3. 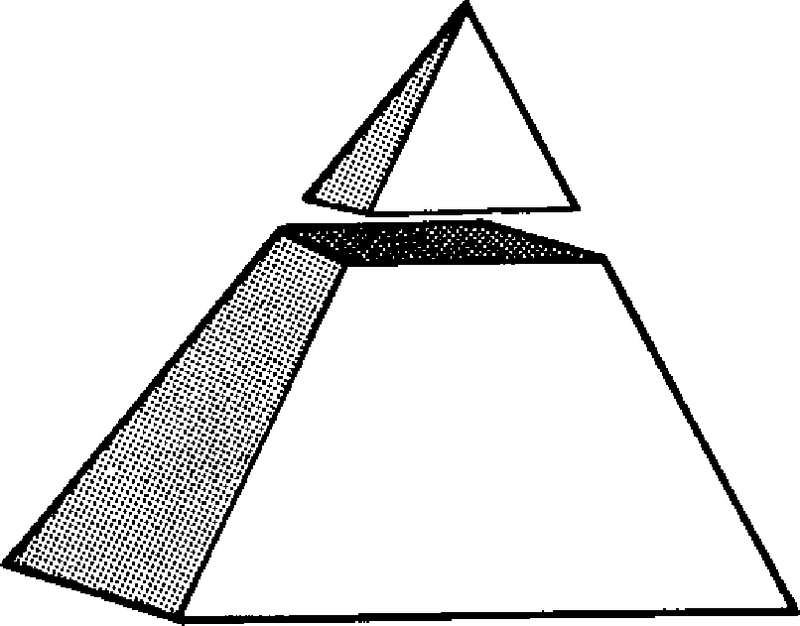 The topstone is a perfect pyramid of itself; other stones may be builded under it, and if built in exact harmony with all the characteristic lines of the topstone, the whole mass will be a perfect pyramid. How beautifully this illustrates our position as members of „The Seed”—”The Christ;” joined to, and perfectly in harmony with our head, we are perfect; separated from him, we are nothing. Master-builder; and in order to have the ability and ideality of the builder displayed in us, we will need to see that we have no cross-grained will of ours to oppose or thwart his will being done in us; we must be very childlike and humble—”Be clothed with humility, for God resisteth the proud, but giveth grace to the humble. Humble yourselves, therefore, under the mighty hand of God, that he may exalt you in due time.”—1 Pet. 5:6.